One service. All your business collaboration needs. It’s your business messaging app, conferencing solution, and phone system all in one. Teams move faster when everything and everyone comes together. Cisco makes it possible like no one else can. Tap to join an online meeting. Or schedule ahead with WebEx-powered meetings. Pull your local team into your conference room and join using your new Cisco Spark Room System. Ask us questions. Learn about our limited free trial. You can try everything out at no charge - including our phone and conference room system. Integrated voice & phone service are coming soon! Team messaging with video call screen sharing. Keep fingers on the pulse with persistent content and context in-team messaging sessions and virtual rooms. Catch-up and join conversations on demand. Unlimited messaging - one-to-one or team messaging. Communicate your way - whether that is a light message based conversation or a video conference - and flip between, as needed. All employees on the same page though a common meeting experience. No one feels left out - they can join from anywhere on any device. Meet with colleagues across the company as well as with customers and with partners. Meet with colleagues in virtual and physical rooms, and join meetings from any device. Boost employee productivity with calling capability from any device, any location, with anyone. Advance capabilities spanning across the desk phone and the mobile phone. Seamlessly move conversations between mobile and desktop, and back again. Common contact and call history from mobile and desktop. A delightful experience - including common contacts, content and calendar services. Step 1 Choose your Message + Meeting plan. Let's get started. Choose your Spark plan in three easy steps. Call Me. Your meetings will call you. Or people can join toll-free. Solutions for virtual town halls, webinars, and training. Step 2 Would you like to include Call? You can always add it later. Go cloud all the way. Get the phone system and desktop IP phones. And watch the magic happen as your connectivity, hardware, and service communicate seamlessly. Already have a Cisco phone system or connectivity? 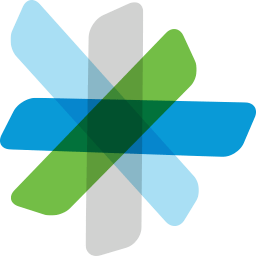 We'll connect it to Cisco Spark so your investment can keep on giving. Step 3 Would you like to include a Room System? Bring life to your conference room with a Spark Room System. Experience HD video conferencing like never before ― fully integrated with Spark and easier than ever. © Cisco 2018. All Rights Reserved. We proudly offer professional video conferencing solutions, consulting, support and installation in Raleigh, NC. To learn more about our video conferencing and collaboration solutions contact us today at 919.457.1313. We look forward to hearing from you.